Posted on 22/09/2012 by U.N.
Two ammonia srcubbers and three gas coolers were blasted yesterday at the coking plant Hansa in Dortmund, Germany. The facilities were not part of the adjacent museum site. 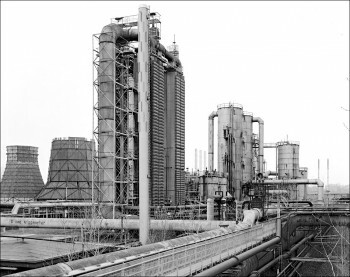 This entry was posted in News, Works and tagged Coking Plant, Dortmund, Germany, Kokerei Hansa by U.N.. Bookmark the permalink.